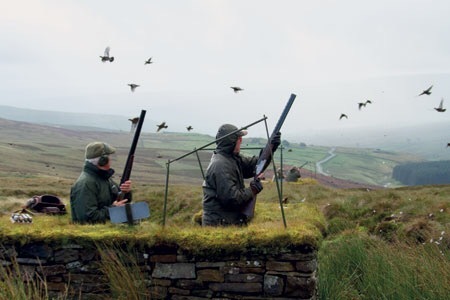 There can be no pastime more linked to the Tory establishment than driven grouse shooting where a line of people with shotguns wait for a line of people with flags and whistles to drive wild red grouse past them so that they can shoot at them as they fly over. There is no hunting involved in this – it’s merely using wildlife as living targets. An individual may pay upwards of £5,000 for a day of such ‘sport’. The record ‘bag’ for a day of such shooting is 2929 birds, shot by eight guns in the Trough of Bowland in Lancashire on 12 August 1915. That’s over 350 birds/gun that day. Modern bags are approaching such levels again. 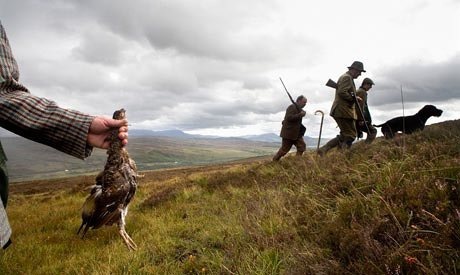 You would struggle to picture Jeremy Corbyn, Ed Miliband or Angela Eagle taking place in such a ‘sport’ but Tory MPs who take part in grouse shooting include Boris Johnson, Richard Benyon (the former Defra minister whose family owns a moor in Scotland) and David Cameron is even rumoured to be seeking solace in buying a grouse moor in Scotland. And do remember that the editor of the Daily Mail, Paul Dacre, owns a grouse moor and is a keen shooter too. Some would regard the prospect of rich Tories blasting wild birds out of the sky for fun as reason enough to ban this country pursuit, and if you agree then I have provided you with an outlet for your disapproval: there is a an e-petition [https://petition.parliament.uk/petitions/125003] on the Westminster parliament website, supported by Chris Packham, Bill Oddie and the League Against Cruel Sports, which calls for a ban. And it’s doing very well: 54,000 people have signed already and we have until 20 September to reach the 100,000 signatures that would trigger a debate in parliament. Sign away to your hearts’ content, and please ask your friends to do the same! You might imagine, and the likes of the Countryside Alliance often claim, that opposition to field sports comes from ignorant leftie, veggie, townies who don’t understand the countryside and couldn’t tell a grouse from a pheasant or a shotgun from a rifle – but little could be further from the truth. The parliament website has real-time maps showing which Westminster constituencies have produced how many signatures for every e-petition including this one [http://petitionmap.unboxedconsulting.com/?petition=125003] and grouse shooting is opposed very strongly in the places where it takes place – the Yorkshire Dales, the Peak District, the North York Moors and south and east Scotland. The 54,000 signatures come mostly from the English and Scottish countryside constituencies (there is practically no grouse shooting in Wales or Northern Ireland) and the urban centres, and Labour heartlands of the northeast, Merseyside, Greater Manchester, Birmingham and London are relatively weak supporters of a ban – perhaps exactly the opposite of what we might have expected. Even in urban areas, it tends to be pockets of strong Green Party support, eg Brighton, Bristol, Norwich etc that have the strongest showing. In fact, the arguments for banning driven grouse shooting go way beyond a dislike of rich Tories killing wildlife for fun, they go to issues of climate change, environmental sustainability and fairness – what I would have thought were core Labour issues. To be able to shoot hundreds of grouse in a day and thousands over the course of the season (12 August – 10 December) upland areas, dominated by heather (the food of red grouse) are very intensively managed by burning and draining to create the perfect conditions for just that one species. On a grouse moor, Red Grouse numbers are often ten to a hundred natural levels so that the guns can enjoy large bags. Foxes, stoats, crows etc are trapped, snared or shot (legally but ruthlessly) to protect the wild grouse and, far too often, protected wildlife is killed too. Birds of prey, hawks and falcons, protected by law for over 60 years, are surreptitiously killed on too many grouse moors. Earlier this year a gamekeeper was caught filmed setting a trap (like a giant mouse trap) on a pole on a Yorkshire grouse moor – such traps have been illegal for over a century. The constituency with the most signatures to ban grouse shooting is the Calder Valley (a Conservative seat in West Yorkshire), the scene of floods over the Christmas period and many times previously, see George Monbiot, 29 December 2015 [https://www.theguardian.com/commentisfree/2015/dec/29/deluge-farmers-flood-grouse-moor-drain-land]). Local people blame the intensive management of the grouse moors above the town for causing those floods – and there is plenty of science that shows that grouse moor management increases flood risk downstream. It’s a bit much if the hobby of the rich few on the top of the hills causes flood misery for the many in the valleys. Likewise, that intensive management for the pointless sport of grouse shooting increases water treatment costs. Does the polluter, the moorland manager providing expensive days out for city executives, pay for this? Of course not, it is the general public who pick up the bill, again, through increased water bills. How fair is that? And burning and drainage of moorlands increases greenhouse gas emissions too. Last year the Committee on Climate Change reported to government that ‘The damaging practice of burning peat to increase grouse yields continues, including on internationally protected sites ‘Guardian 5 July 2015 [https://www.theguardian.com/environment/2015/jul/05/peat-bogs-burning-grouse-shooting]). That’s hardly an endorsement is it? So that’s grouse shooting for you: increased greenhouse gas emissions, reduced aquatic biodiversity (I didn’t tell you about that, but it’s true), increased home insurance costs because of increased flood risk, increased water bills because of pollution, wildlife crime against protected birds of prey, killing of mountain hares in large numbers (I didn’t tell you about that either), killing of foxes stoats etc too, and all so that rich people can shoot wild birds for fun. If you are an urban leftie and can’t find an issue or two there to get hold off then I despair! Where are you Labour urbanites? Where is the Labour Party itself on this issue? Maybe if the readers of this blog signed this e-petition to ban driven grouse shooting [https://petition.parliament.uk/petitions/125003] we could encourage the masses to stir themselves and we will rush to 100,000 signatures before 20 September. 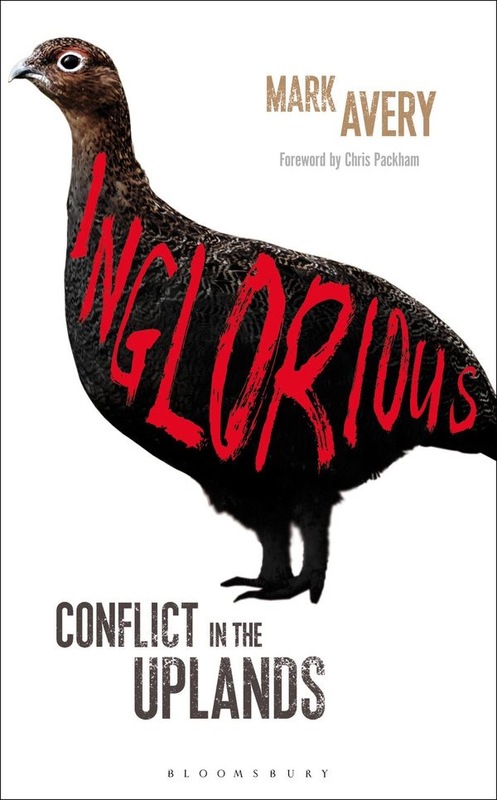 About the author: Mark Avery is a Labour Party member (who voted Corbyn in the leadership election), scientist, author (his book Inglorious – conflict in the uplands (Bloomsbury) is on this subject), blogger (www.markavery.info/blog/) and environmental campaigner. He is a former Conservation Director of the RSPB (1998-2011).